ARE YOU TAKING ADVANTAGE OF CHAMBER ADVANTAGE? ALL CHAMBER MEMBERS & THEIR EMPLOYEES GET ACCESS TO THESE GREAT DISCOUNTS! ​JUST SHOW YOUR CARD AT THE TIME OF PURCHASE! Don’t have a card yet? Just call the Chamber! It’s Free! Almost Famous - 20% off your order. Avery Drugs - 10% off everything in store, excluding prescription co-pays & existing sale items. Bella Roma Grill - 10% off your order, excluding alcohol and desserts. Cheryl Riner Hodge, Artist - 10% off all notecard packages & prints. Chieftains Museum/Major Ridge Home - 50% off applicable admission. Chili’s Bar & Grill (1310 Turner McCall Blvd. SW) - Free chips & salsa with the purchase of an entree. CiCi’s Pizza (2519 Redmond Circle NW) - “2 Can Dine for $12” Includes two buffets and two regular drinks. (Limit one per paying party). Cook’s Pest Control - $25.00 off Initial Pest Control Service; 10% off Sentricon Installation. Cornerstone Financial & Insurance Services - Free Financial & Insurance Review. Multi policy discounts up to 45%. Easy Living Yamaha & Polaris - 10% off MSRP on all parts & accessories. Enterprise Rent-A-Car - 5% discount on standard daily rates, excluding weekend specials. Ford, Gittings & Kane Jewelers - Free jewelry inspection and cleaning. Good Shepherd Funeral Home - $500.00 discount on a pre-arranged traditional funeral service; If veteran, veteran’s spouse, or veteran’s widow/widower, the discount is $1,000. Greene’s Jewelers - 15% discount on new purchases. (Some restrictions apply). Heritage Auto Group- 10% off Service Department. Cannot be combined with any other offer. Holston Gases - 10% off residential and commercial propane and 10% of industrial supplies excluding machines. Home Instead Senior Care of Georgia - Free phone consultation for in-home elder care options. HoneyBaked Ham Company & Cafe (900 Martha Berry Blvd. NE) - 10% off any half ham. Honeymoon Bakery - Buy one, get one free cookie or mini cupcake. Limit one per order. In-Touch Computer Services - Free Computer Network Audit. Jandy’s Frozen Yogurt (715 Turner McCall Blvd. NE) - 10% off your order. Knockerball Rome- 10% off or no gas fee if more than 50 miles. La Scala Mediterranean Bistro - 10% off your order. Lamar Advertising - 25% off a rate card. Locomex Rome- 10% off your order. Excludes alcohol. McDonald's (Martha Berry) - 10% off your purchase. Moe's Southwest Grill - 10% off your purchase. Cannot be combined with any other discounts. Does not include catering or Moe's Monday. NW Georgia Living - 20% off rate card for first ad only. Some exclusions apply. Old Havana Cigar Company - 15% off your purchase of 20 or more cigars. Perfect Home - Free In-Home Design Consultation + 10% merchandise discount. Pizza Hut (1015 Martha Berry Blvd. NW) - 10% off total order. Dine-in only. Pro Performance - $10 off Group Training. PuroClean of Rome - 20% off carpet cleaning *3 Room minimum. Purple Trumpet Marketing- 50% off initial set up fee. Riverwood Senior Living - $500.00 off a Community Fee. Rome Area History Museum - 10% off. 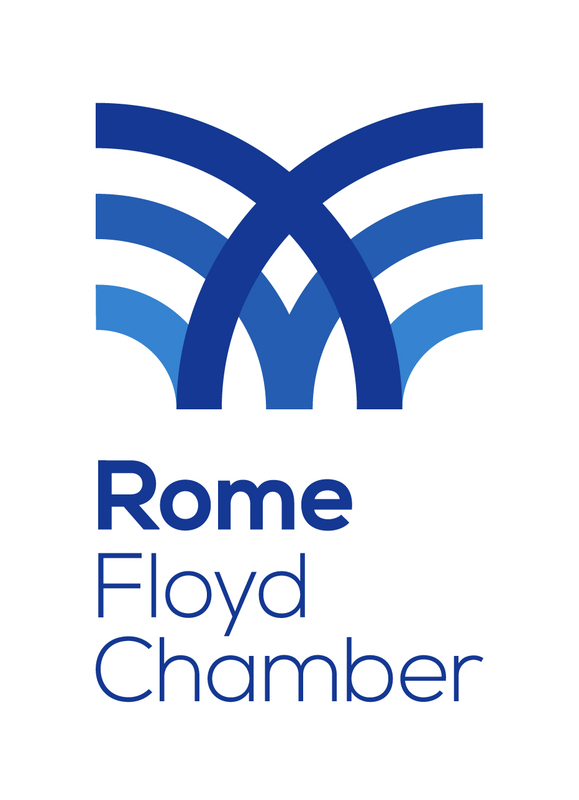 Rome Classes- 20% off all classes. Rome Cleaners - 10% off dry cleaning. Cannot be combined with any other discounts. Scant's Corner Package Store- 5% off liquor and 10% off wine. ServiceMaster by Twins - 10% off carpet & upholstery cleaning (some restrictions apply). Shane's Rib Shack - 10% off your purchase. Cannot be combined with any other discounts. Does not include catering. Studio 6-SkyTop - 10% off. SweetFrog - 10% off your purcahse. Sylvan Learning Center of Rome - 24% off standard hourly payment rate for personalized academic program. TENDO Technologies - Web Development/Marketing Promotion/SEO combination, save 5-15% per service. The Big Mattress Outlet- 10% off any purchase. The Grove at Six Hundred - $200 off 1st month’s rent with 12 month lease agreement. United Community Bank - $200 off mortgage loan origination fee for purchase of a primary residence. V3 Publications - Buy one advertisement, receive a second advertisement at 50% off. WIN Home Inspection- $25 off of your home inspection. ATTENTION, BUSINESS OWNERS! ARE YOU ON THIS LIST? OFFER A DISCOUNT! IT’S FREE TO PARTICIPATE! OFFERS CAN BE CHANGED AT ANY TIME!